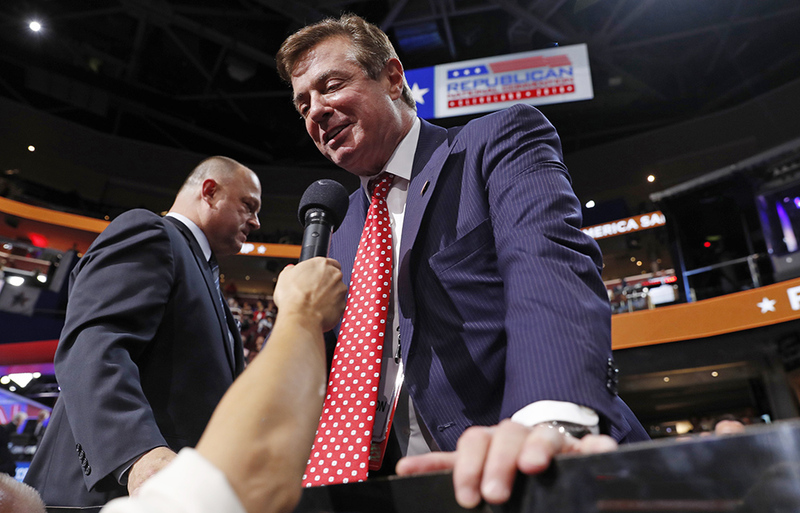 What we know, thanks to The Washington Post’s Carol D. Leonnig, Tom Hamburger and Rosalind Helderman: Former Trump campaign chairman Paul Manafort was served with a surprise search warrant at his home two weeks ago. What we don’t know but would very much like to: Why in the world that was even necessary. The Post’s scoop about the FBI seizing materials from Manafort’s Alexandria, Virginia, home adds a whole new layer of intrigue to the Russia investigation. Manafort, after all, is someone who was ostensibly cooperating with investigators and turning over documents, including testifying behind closed doors to the Senate Judiciary Committee the day before the FBI showed up at his door in the predawn hours. It’s reported that “most of the documents, if not all” had already been turned over to Congress. And yet, a search warrant. One anonymous adviser close to the White House seemed exasperated that special counsel Robert S. Mueller III saw fit to spring the search warrant on Manafort. “If the FBI wanted the documents, they could just ask him and he would have turned them over,” the adviser told Leonnig. But Mueller’s team told a federal judge that they, for some reason, believed Manafort couldn’t be trusted to turn over the records it needed if subpoenaed. The precise reason for that is one of the juiciest bits of this entire saga. It can’t help but recall all those scenes from movies of federal agents showing up at someone’s door and charging in to seize evidence of a potential crime. In this case, it’s completely unclear what information was being sought or even if it was related to possible wrongdoing by Manafort himself. Manafort allies believe Mueller is building a case against him in hopes that he’ll flip on Trump. Again, very silver-screen. What seems clear is that Manafort is looking like an increasingly major wild card in this whole investigation. After leaving the Trump campaign months before Trump was elected, he’s been lurking largely in the background of a series of revelations about possible Trump campaign collusion with Russia. Most notably, he attended that meeting Donald Trump Jr. organized with a Russian lawyer who had promised compromising information about Hillary Clinton and Democrats. It’s not clear that this report, which was anonymously sourced and which The Post hasn’t confirmed, has anything to do with the search warrant. But it only adds to the mystery surrounding Manafort. Manafort is the member of the Trump team with the most transparent ties to Russian interests, having worked on behalf of a Russian-backed candidate for president of Ukraine. Politico has also reported that Manafort was advising the Trump team on the Russia situation shortly before Trump’s inauguration, apparently recognizing its severity in a way the White House didn’t seem to grasp for months afterward. There are a whole bunch of pieces that haven’t yet been connected. But increasingly, Manafort is a part of some of the biggest questions in this investigation.